Packaging : It comes in a cardboard packing with the casual black tube inside the name of the product is written Golden color. Brush : It comes with a flexible, plastic mascara wand that features my favorite kind of bristles – short, stiff plastic with very shallow bristles. The bristles are of normal size which transfer the mascara to the lashes nicely from root to tip and separate them out very neatly. Formula : The formula is slightly thinner than most of the mascara but it dries really quickly and there are pretty much no clumps. 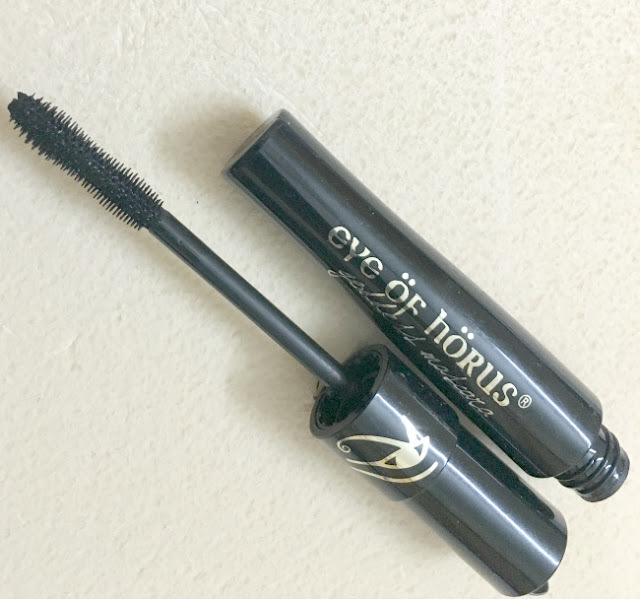 The formula is designed to Give length and Volume both so its kinda perfect mascara. It also hold the curls really well. The formula doesn’t leave my lashes feeling hard or crunchy, nor does it leave them looking dry. Application : The application is easy, smooth and buildable. To build up the product, the best way was to continually coat the lashes until the desired intensity was reached, without waiting for 1 coat to dry before applying another. Color : The color is awesome – super black – the way I want my mascara color to be. Lasting : The lasting power of this mascara is phenomenal it last on my lashes all day without smudging or flaking at all, even on the lower lash line it does not smudge even though I have oily lids. Removal : The formula is not water proof so its easily removed with warm water and you do not require much effort or makeup remover to get rid of the mascara. What a great post with beautiful pictures. The mascara look worth to try. keep working dear. Wish you success ! Really impressive results - and I do need a new mascara, my teenager seems to have nicked mine! Your lashes look stunning! I like that the mascara stayed intact all day despite not being waterproof. I like that this has lots of natural products, id love to know exactly what it is that makes your lashes curl, thats an amazing addition! This sounds great, especially being so black and lasting so long. This looks good enough for a natural look. Nice review! This looks really great, and your eye lashes looks great too.